When it came to trading point guard Derrick Rose, the Chicago Bulls seemed to have plenty of options. The question was, would the Bulls actually trade him? Apparently, we have our answer. The Bulls have decided to trade Rose, Justin Holiday, and a 2017 second-round pick to the New York Knicks in return for big man Robin Lopez and point guards Jerian Grant and Jose Calderon, according to ESPN’s Marc Stein and Ian Begley. The move was a bit shocking, but it’s also worth noting that Rose has declined a bit over the past few seasons, largely due to injuries. In 2015, the point guard averaged 16.4 points, 4.7 assists, and 3.4 rebounds per game. Knicks star Carmelo Anthony should be a pretty big fan of this move, however it also leaves New York fairly thin on the inside. Instead of looking at the deal as a whole, though, we’ll take a look at what this means specifically for the Bulls. At times, it almost seemed like the Bulls would have to choose between Rose and Butler. While the two made it seem like they had no issue playing with each other, we aren’t sure if anyone was actually sold on that statement. 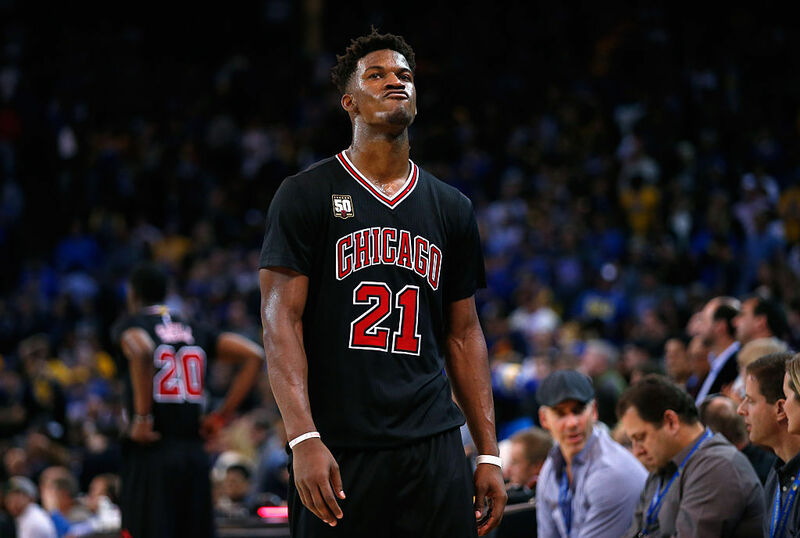 The trade makes it known that Butler is indeed the franchise player in Chicago, and that they have little interest in sending him out of town. Unfortunately for Rose — and his fans — this was the right move by the team. Butler is coming off one of the best seasons of his career, as he averaged 20.9 points, 5.3 rebounds, and 4.8 assists. The Chicago Bulls can’t undervalue his ability to get it done on both ends of the court, and he will be a huge piece of the team’s future. It would be absolutely shocking to see him leave town now. Yes, the Bulls missed the 2015 NBA Playoffs. While they were right there on the fringe, they were widely aware that what they had in place wouldn’t get them over the hump. It’s great for fans to see this, but it’s also worrisome because the trio doesn’t exactly have any superstars. Lopez will be a nice piece inside for defensive and rebounding purposes, and we are also big fans of Jerian Grant’s upside. He’s not there yet, but he could end up being a nice player to place next to Butler. The question becomes, what will the Bulls do from this point moving forward, and how will they approach the 2016 NBA Draft? It’s not often that an NBA team can take the “best player available,” but the Bulls currently sit in that spot. With Pau Gasol set to become a free agent, Rose now gone, and Butler basically being the one untouchable player, the Bulls can take the players they think will fit their long-term plan best. Nikola Mirotic and Bobby Portis will both be big factors in the team’s future, but don’t be shocked if the Bulls decide to either take a small forward, point guard, or big man in the first round. 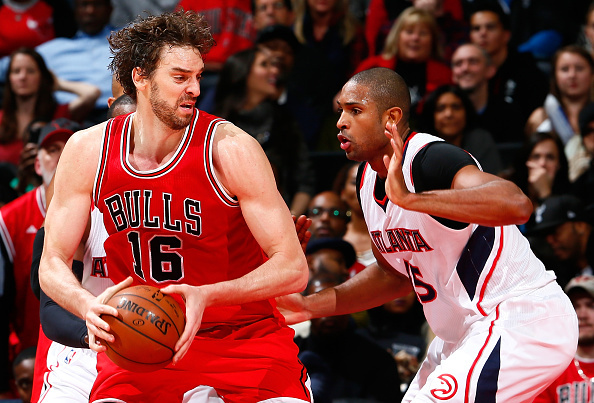 The options are there; Chicago may be the most interesting team to watch on Thursday night. The Bulls made a huge move in shipping off Rose, but realistically, it was one that needed to happen. Things weren’t working in Chicago, and this team didn’t want to sit back and wait. They’ll be a fun group to watch throughout the free agency period, too. How Does Steph Curry Compare to the Other MVP Point Guards?